I am currently taking a course called Science and Aviation Technology in Society. I thought the main objective of this course was to discuss the ethical impact that technology has on society. Sounds cool, right? Mostly, for the last five weeks, I have had to listen to conspiracy theories and pseudoscience. 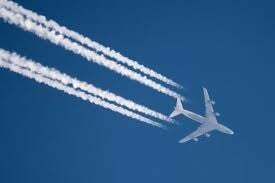 One assignment I had was to watch an hour and a half "documentary" on chemtrails and write about whether there were ethical issues with the government spraying chemicals on us through airplane exhaust. Uhhh, they're not doing that so there are no ethical implications. Done. I had to stretch that out to 300 words! Unless I am totally missing the mark here, everything is being presented to us without a hint of irony.